Good. 1612680607 May have some marking. Very Good. Trade paperback (US). Glued binding. 277 p. Contains: Figures. Rich Dad's (Paperback). 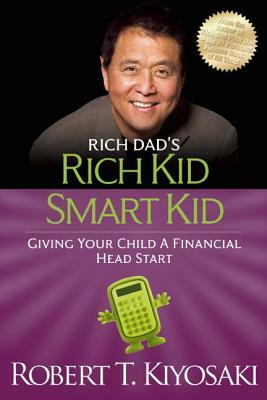 Rich Kid Smart Kid is written for parents who wish to give their children a financial and academic head start in life. It shares the financial knowledge that Robert Kiyosaki was taught at a young age by his rich dad. This is an excellent opportunity for parents to take an participative role with their child's financial future. New. 2011. Reprint. Paperback. Num Pages: 272 pages, figures. BIC Classification: VSB. Category: (G) General (US: Trade). Dimension: 228 x 154 x 20. Weight in Grams: 320......We ship daily from our Bookshop. New. 1612680607 *NEW* Paperback fresh from a distributor with no price tags and no remainder marks. New. 100% Money Back Guarantee. Brand New, Perfect Condition. We offer expedited shipping to all US locations. Over 3, 000, 000 happy customers. Trade paperback (US). Glued binding. 277 p. Contains: Figures. Rich Dad's (Paperback).